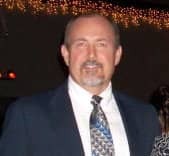 Jim Stone has worked in the roofing industry since 1982, first as a tech rep, then moving up through the industry to become an independent rep. Associated with FiberTite since 1984, with 18 years as an employee, he has been involved with over 100 million square feet of roof area. Fire-resistant roofing materials can play a crucial role in preventing fires and limiting their damage, making proper fire testing and certification critical if you want your roof to be safe, protective and long-lasting. When selecting a fire-resistant roofing system, it is usually recommended that the system in question has a UL Class A fire-resistance rating. Membrane roofs are extremely durable and reliable, but when they leak, it’s often because of something that weighs just a few grams, like a simple sheet metal screw. In our experience, HVAC service often precedes a leak. That’s because servicing a rooftop HVAC unit requires removing a door to get inside of the unit. The door is held in place by sharp sheet metal screws. HVAC technicians will often drop the old corroded screws and leave them on the roof, reinstalling the door with new screws. As soon as someone steps on those screws, they can create leaks.